Some colleges are minting millions from students by offering degree programmes through bogus collaboration with non-existent universities. 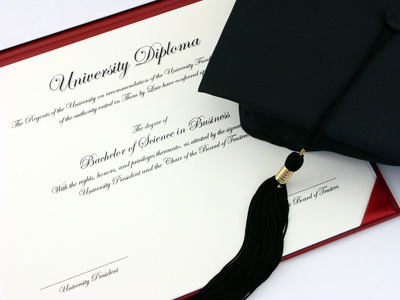 Thousands of youth are holding onto useless degree certificates earned in four years of hard labour and sacrifice after falling prey to nicely crafted advertisements. The brokers have devised ingenious methods to lure students thirsting for university education some of whom have been duped into studying courses, which have not been accredited by the Commission for Higher Education (CHE). Some of the colleges, which do not meet the basic requirements necessary for offering university education, have elevated themselves by securing collaboration with questionable institutions locally and abroad. In 2004, the Government created rules to streamline the collaboration between universities and tertiary institutions in Kenya so as to open up access to university education. The Coordination of Post Secondary School Institutions for University Education rules were gazetted to provide a legal framework for colleges that had no capacity to offer degree programs. Eight years later, CHE concedes that some institutions have exploited the rules and entered into collaboration with tertiary institutions that have no capacity to offer degree programs. Some of the institutions offering degree courses in collaboration with foreign universities have been distorting names of renowned universities to confuse students and parents. “Some Kenyans have been frequenting foreign capitals especially in Europe where they register professional associations especially in marketing, ICT and law. They then form collaborations with tertiary institutions and purport to offer masters degree courses in business studies on behalf of these bodies,” says the expert. Some enterprising Kenyans have gone to an extent of registering a college in Malaysia and started offering Kenyan students courses. The middle level colleges involved in this malpractice have been using the documents to dupe students about their registration and accreditation status. A senior official in a local university who cannot be quoted, as he is not authorized to speak to the press explains that some of these unscrupulous tertiary colleges have elevated themselves into universities through the back door. The Chief Executive Officer of CHE, Prof Everett Standa, says the vice has become difficult to detect and eradicate as it is carried out in secrecy. “It is true some colleges have been cheating about their accreditation to attract students. Whenever we find them through our routine inspection, we close them down. We will not spare anyone,” Standa explains. Some of the students enrolled in the colleges which were blacklisted had been offering university degrees. The rules approved by CHE for collaboration between universities and tertiary institutions are very clear on the conditions to be met before a college is allowed to offer diploma, bachelors or master’s degree. Rule (b) clearly states that no collaboration shall be allowed at the doctorate level while tertiary institutions are barred from collaborating with more than three universities. Although the rules indicate that collaborating universities should have an academic department offering the programme under collaboration on its campus and should have graduated at least one cohort of students, some have circumvented this. One public university that has no hospitality department entered into collaboration with a tertiary institution offering hospitality diploma courses. The tertiary institution is now offering an approved degree programme in hospitality on behalf of the university because the curriculum has not been the okayed by CHE. This, according to the approved 2010 CHE regulations, is unacceptable because a tertiary institution is only allowed to offer three programs under collaboration at any one time, which must meet the curriculum standards and guidelines of the commission. In 2005, a graduation ceremony in the city was halted at the last minute as CHE announced the courses were not approved.